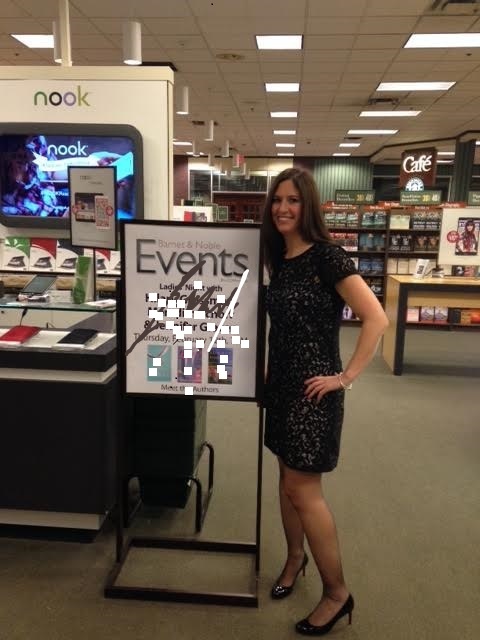 First reading at Barnes & Noble – check! 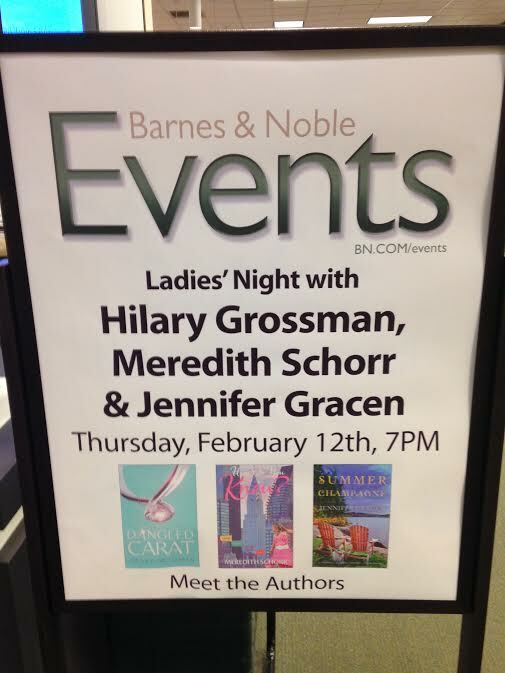 Even though I’ve been a published author for four and a half years and have four novels under my belt, I participated in my first ever public book “reading” this past Thursday night at the Barnes & Noble in Manhasset, New York, along with fellow Booktrope authors Hilary Grossman and Jennifer Gracen. 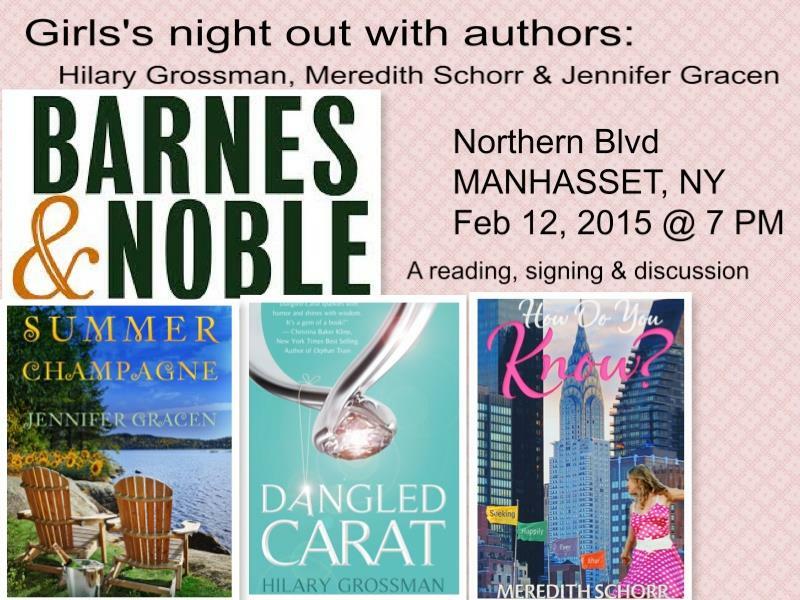 For those of you not in the know, Manhasset is a town in Nassau County, Long Island. As I mentioned in my blog post a couple of weeks back, I get very nervous at the thought of public speaking. Past experiences have left me lacking confidence in that regard. As you can imagine, booking this gig at Barnes and Noble, while a dream come true in one respect, was a nightmare in another. Terrified, yet determined to see it through, I made it my mission to kill it, or at the very least, not make a fool of myself. I chose an excerpt of my newest release, How Do You Know? that I considered intriguing enough to pique interest in my story without giving away anything not already exposed in the book’s back cover blurb. A very dialogue-heavy scene, I sought advice from author friends who have far more experience at readings on how to best distinguish between which character was speaking. Thank you to my mom for this brilliant suggestion and to Eileen Goudge, Josie Brown, and Jen Tucker for their willingness to share their wisdom. At the advice of these authors, I marked up the scene to include additional dialogue tags (I said, he said) where necessary and add phrases such as “I thought, I wondered” to indicate inner thought. As a result of this wonderful advice, my devotion to rehearsing the reading for two weeks prior to the event, and perhaps a little magic set off by the designer shoes I had purchased the night before, I am proud to announce that the reading went off without a hitch. Despite nursing an awful cold, I think it’s fair to say I rocked it. I didn’t read too quickly, which was my biggest fear. I remembered to include the added dialogue tags to avoid confusing the audience. 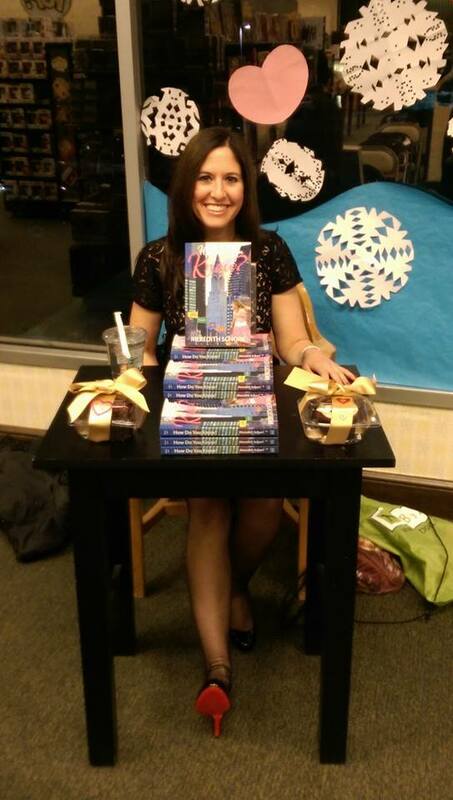 And I managed to make eye contact with the audience every so often rather than keep my head buried in the book. Folks laughed at all of the right times which fueled my confidence. In my wildest dreams, truckloads of devoted fans would stand elbow-to-elbow for an opportunity to hear their favorite author—me of course—read from her book. In reality, however, while we had a full house, the majority of the audience consisted of friends, colleagues, and family of Hilary Grossman and most of them were there to see her. I blame the crazy cold and the opening of Fifty Shades of Grey for the absence of my fangirls (and boys). But while I’m fairly certain the majority of the attendees were not my target audience, they were very attentive and respectful to all three of us and I managed to pique the interest of a couple of them who purchased a signed copy of How Do You Know? at the end of the evening. Another promised to download the ecopy on her Kindle when she got home. 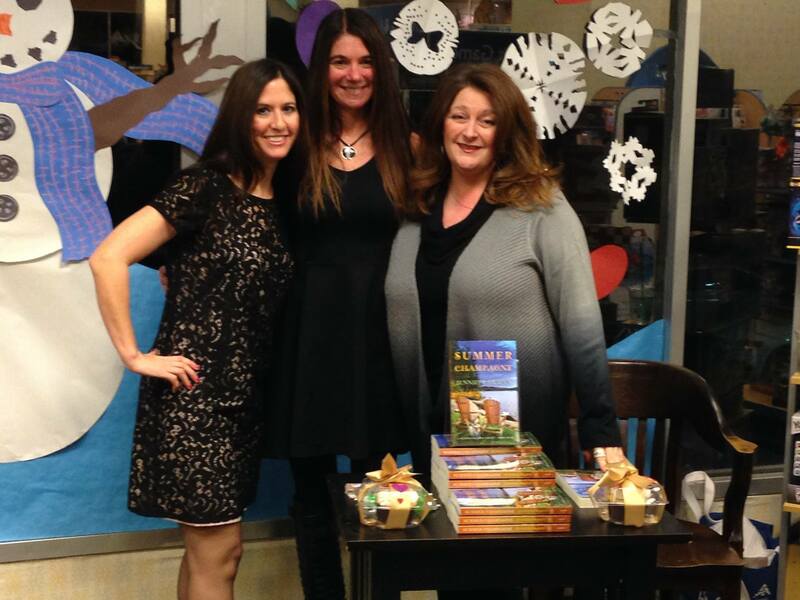 Thank you to Hilary Grossman, Jennifer Gracen, and the staff at Barnes & Noble for making it possible!